Three people were reportedly injured in northwest London's Brent borough Monday night when a gunman opened fire outside the Kingsbury tube station. Police have not yet made an arrest in the case. Social media posts show police and ambulances gathering en masse at the scene. "They found three people suffering injuries. We await assessment of their condition," police said. According to The Sun, the shooting comes amid a push for a crackdown on antique guns on the streets of the UK. Local gangs are apparently making their own bullets to carry out violence with firearms that were considered "obsolete" due to a lack of compatible ammunition. Earlier on Monday, Sputnik News reported that a man used a hammer to attack two women in Greenwich, southeast London. In Early August, a "gang-related" knife attack left two people injured and one man dead in Camberwell, south London. 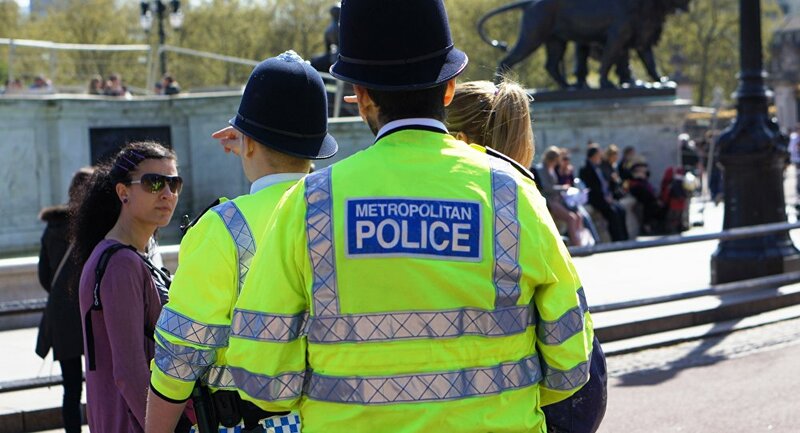 In July, the UK Home Office announced that police firearm operations had increased a whopping 19 percent in the fiscal year that ended in March, with some 18,000 cases in total. Shortly after beginning their investigation into the Kingsbury Road incident, police said they found it to be "not terror related."